When I was five months shy of graduating from high school my father uprooted my family, from small town Oklahoma, to Pueblo, Colorado. The only thing I knew about Colorado was John Denver and the Denver Broncos, and only thing I knew about Pueblo was that it was the home of those consumer information catalogs. In 1979, I pretty much had blinders on when it came to my interests - listening to the radio and playing records. Come to think of it, not much has really changed. My radio dial was permanently set to KILO 94, a rock station out of Colorado Springs. I had long decided that radio was going to be my career choice, but hearing Jennifer Bell back announce Triumph and Styx sealed the deal for me. My second home was equally divided between Independent Records and Record Reunion. 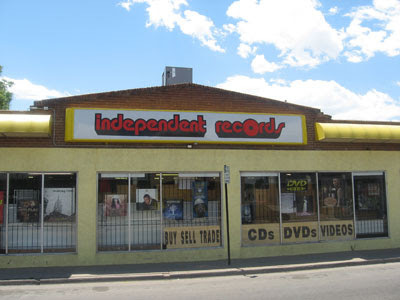 Back then, Independent was a new and used vinyl store and head shop. Coming from Podunk, Oklahoma it was like opening the door into Oz. If the incense didn't make you dizzy, the rows and rows of vinyl would. I easily spent nearly every dime I made (making cheddar melts at Arby's) in there. 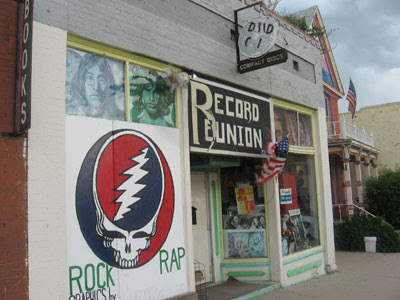 Record Reunion was located near the city library, next to a used book store, on the old side of town. You could spend hours going through each bin - only because nothing was categorized or alphabetized. The randomness made the store a bit of a challenge, and not for the faint-hearted, but well worth the time, if only for the thrill of the hunt. Sadly, I just recently found out that the owners decided to close the store. So what is this blog about? Quite simply, here is where I will feature vinyl originating Colorado. Chances are you will have never heard of these singers and bands, or the record labels of which they appear--but then again I bet you only thought the only things that came out of Pueblo were consumer information catalogs, huh?